At C&M Precision Tech, we formed a strong partnership with a company that developed a new netting system for protecting vehicles used by the military in hostile areas. This revolutionary new product, when mounted on the exterior of tactical vehicles, delivers ballistic protection from rocket-propelled grenade (RPG) attacks and dramatically improves the survivability of the vehicle and its occupants. When they approached us to manufacture a high volume of the component highlighted here, our initial strategy involved producing the part on a Swiss-type CNC lathe. In this process, the machining cycle time was 90 seconds. Since the ultimate goal was to ramp up to mass production on the order of 100,000 units per day, we went back to the drawing board to engineer a production system that allowed us to increase capacity exponentially. After an intense period of R&D, our production engineers identified a method for significantly boosting production rates while keeping costs as low as possible. It required the acquisition of a new piece of rotary transfer equipment specifically geared for precise, consistent, high-productivity machining. With this new machine on the plant floor, we engineered, tested, and perfected a strategy that reduced the cycle time to only 2.75 seconds for each unit. We also lined up a reliable supply chain, developed a system to package mass quantities, and submitted all the necessary documentation to meet PPAP level 4 standards. The combination of our agility and ingenuity enabled us to get this system up and running within a very narrow timeframe. 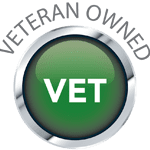 With many Americans serving overseas in hostile nations, the company was extremely impressed with the support we provided to get this life-saving product into use as fast as possible. We also received special congressional recognition for our efforts. If you are interested in learning more about this project or our production capabilities, contact us today.